Melissa Sherrill is a speech-language pathologist in Jamestown, NC. Practice Type: • Self-Employed Practice Areas: • Speech Language Pathology • Speech Therapy Take the next step and contact Melissa Sherrill for a consultation in Jamestown, NC or to get more information. Heather Jacobson is a speech-language pathologist in Asheboro, NC. Practice Type: • Home Health Agency - Client's Home Practice Areas: • Speech Language Pathology • Speech Therapy Take the next step and contact Heather Jacobson for a consultation in Asheboro, NC or to get more information. Darragh Fertitta-Boutis is a speech-language pathologist in Winston-Salem, NC. 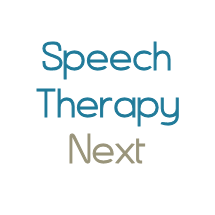 Practice Type: • Speech-Language Treatment Center/Clinic Practice Areas: • Speech Language Pathology • Swallowing disorders Take the next step and contact Darragh Fertitta-Boutis for a consultation in Winston-Salem, NC or to get more information. Michelle Powers is a speech-language pathologist in Lexington, NC. Practice Type: • Home Health Agency - Client's Home Practice Areas: • Speech Language Pathology • Speech Therapy Take the next step and contact Michelle Powers for a consultation in Lexington, NC or to get more information. Leslie Johnson is a speech-language pathologist in Chapel Hill, NC. Practice Type: • Hospitals Practice Areas: • Speech Language Pathology • Speech Therapy Take the next step and contact Leslie Johnson for a consultation in Chapel Hill, NC or to get more information. Jennifer Nail is a speech-language pathologist in Mocksville, NC. Practice Type: • Office Practice Areas: • Speech Language Pathology • Speech Therapy Take the next step and contact Jennifer Nail for a consultation in Mocksville, NC or to get more information.